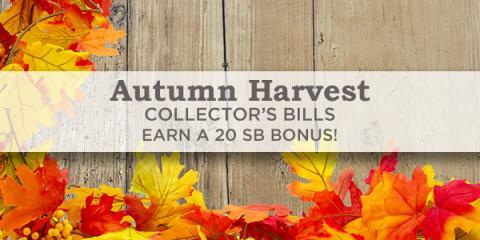 Now that Autumn has officially begun, Swagbucks is offering a bonus for you in the form of Autumn Harvest Collector's Bills! Signed up on Sept 29/08 - received first coupon to print - $1.00 off one pkg. of Del Monte Fruit Cup Snacks.